It’s been an exciting summer in the Archaeology Department, not least because of our Isotope Investigators Summer School! 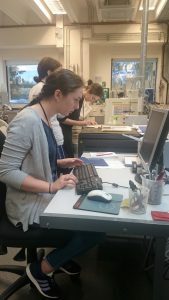 The Summer School was a five-day programme of work which taught the theory, application and practical lab techniques of isotope analysis in archaeology. With funding from University of Nottingham’s CASCADE fund and the Department of Archaeology, 10 students from the UK, USA, Estonia, Israel and Australia were selected from more than 60 applications to participate in the residential course. Having been selected, we weren’t allowed to rest on our laurels! The programme was certainly a busy one, with laboratory sessions beginning at 9am and finishing at 4pm, a lecture before dinner and then usually a social event in the evening. 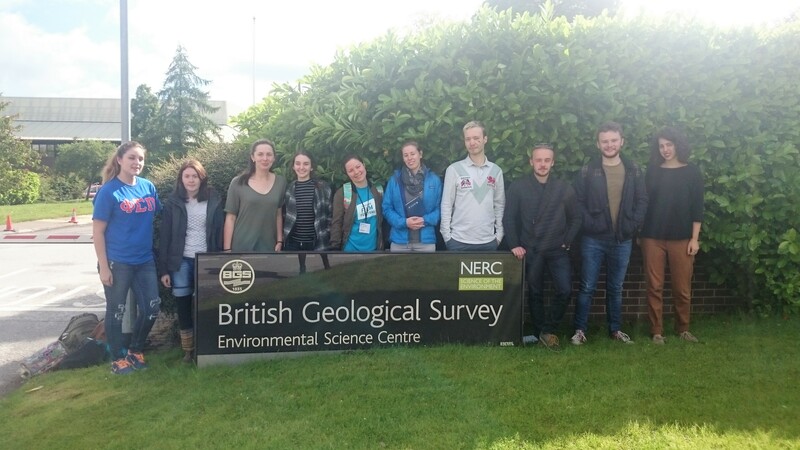 We spent time both in the Bioarchaeology laboratories at UoN and at the British Geological Survey (BGS) laboratories in Keyworth, as part of their official partnership with the Centre for Environmental Geochemistry (CEG). Throughout the five days we focused on a study of material from the high profile site of Fishbourne Roman Palace. Learning through the analysis this of material, and with several case studies from the exciting research taking place at CEG, we took part in carbon, nitrogen and strontium dietary and provenance analyses. We were able to take samples all the way through the various methodologies from start to finish, thanks to some Blue-Peter-like preparation from our instructors! By the end of the week we had not only learned the science behind the methods, but also had a go at correcting and interpreting raw data, and come up with conclusions which allowed us to test the understanding and knowledge we had gained. Ultimately we will participate in a joint publication of the results we produced from the Fishbourne Roman Palace material. We now have a good working knowledge of isotope techniques, as well as new skills in interpreting isotope data and evaluating results in research publications. These are key skills, not only because archaeology frequently makes uses of isotope analysis and other scientific techniques to answer increasingly complex and detailed questions about our past and present, but because data interpretation, analysis, evaluation and report writing are essential in many fields. This Summer School has been a wonderful experience, from the skills we have gained to meeting colleagues and experts who share our interests, building networks for the future. Our thanks go to Drs Holly Miller, Naomi Sykes, Hannah O’Regan and Angela Lamb and Professor Jane Evans for their instruction, support and organisation, and again to funders that allowed it to go ahead.